The iconic American Silver Eagle, the most widely collected and traded silver coin in the world, now has an Australian cousin that was created by the same person who designed the American eagle, retired U.S. Mint coin sculptor-engraver, John Mercanti. 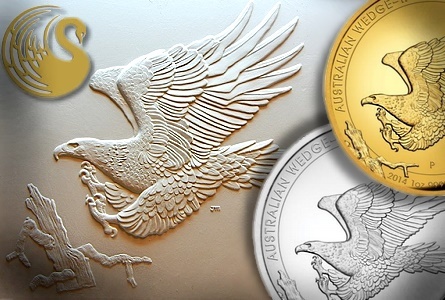 On January 7 the Perth Mint in Western Australia released a wedge-tailed high relief eagle coin in silver and gold, each one a one-ounce piece. The silver coin is made from .999 silver and has a global mintage of 10,000, while the gold coin is made of .9999 gold and has a mintage of 1,000. Depending on where purchased the silver coin runs about $100, while the gold coin comes in at about $2,700, or more than twice its melt value. The coins are not available to U.S. customers from Perth, which directs American buyers to New York Mint to obtain the coin. 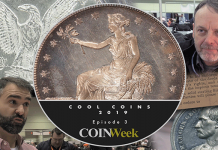 Officials from the Perth Mint explained to CoinWeek that the coin is a joint project of the Perth Mint in consultation with U.S.-based company GovMint. New York Mint and GovMint are the same company. 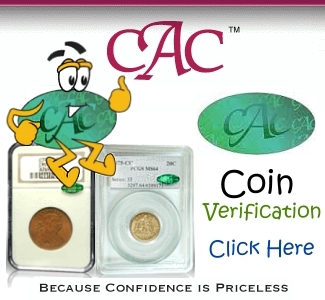 The coins can also be purchased on eBay, or from Australian dealers such as Downies and DirectCoins. Sales appear to be brisk for both coins as one of these dealers already sold out of the gold coin, and the other just sold out of the silver version. The coin’s obverse, like all Australian legal tender coins features the usual bust of Queen Elizabeth II that is familiar to collectors of Australian coins and which was designed by Ian Rank-Broadley. The reverse depicts in intricate detail a majestic wedge-tailed eagle in flight preparing to land on the branch of a dead tree. It is a stunning image with exceptional detail on the eagle’s wings, and looks especially attractive in high relief. Few world mints are able to issue high relief coins, and Perth is well-known for its line of high relief versions of its widely collected silver coins such as the Lunar series, koalas, and kookaburras, and has also issued other high relief silver and gold coins. High relief coins are very popular with collectors because of their beauty and the fact that they are different from regular relief coins, which do not have the same visual appeal as high reliefs. The U.S. Mint issued an ultra high relief double eagle gold coin in 2009, but has not issued a silver high relief coin apart from the 1921 peace dollar, which was struck in much higher relief than the other coins in that series. In the past couple years, the Mint has been surveying its customers about the possibility of issuing a high relief silver eagle, which would be very popular with collectors. Perhaps the most notable fact about the new eagle from Perth is that its reverse design was created by John Mercanti, one of the most widely admired coin sculptor-engravers in the world, who served as the U.S. Mint’s Chief Engraver from 2006 to 2010. During an amazing career at the Mint that started in 1974, Mr. Mercanti designed more U.S. coins and medals than any official Mint employee has ever created, as explained in his book American Silver Eagles: A Guide to the U.S. Bullion Coin Program, co-authored with PCGS grader and modern coin expert Michael “Miles” Standish and now in its second edition. 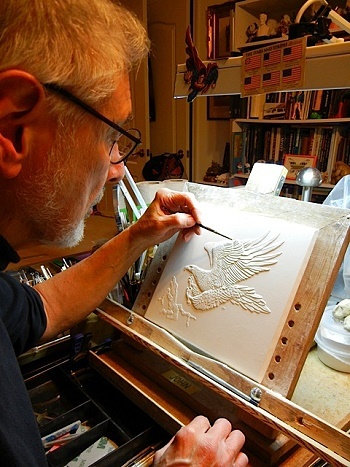 Mr. Mercanti is probably best-known for his work on the American silver eagle minted since 1986. He made some subtle modifications to the famous Adolph Weinman Walking liberty half dollar obverse for the coin’s obverse, and then created a heraldic eagle design for the reverse of the coin. One of the main reasons silver eagles are so widely collected is because the coin’s design is so widely considered to be beautiful. This coin seems destined to be an instant modern world classic because of its compelling design and the fact that it is a Mercanti creation. 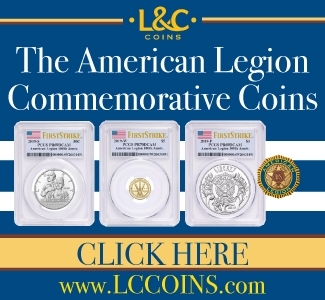 Based on what I have read in various online coin forums, it appears to already be very popular with collectors around the world, especially those who collect American silver eagles, and those who enjoy depictions of eagles on coins, which is an especially popular theme in the U.S., Canada, and Australia. Louis Golino is a coin collector and numismatic writer, whose articles on coins have appeared in Coin World, Numismatic News, a number of different coin web sites in addition to being a contributor to “American Hard Assets magazine”. His column for CoinWeek, “The Coin Analyst,” covers U.S. and world coins and precious metals. 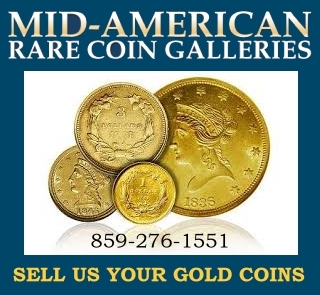 He collects U.S. and European coins and is a member of the ANA, PCGS, NGC, and CAC. He has also worked for the U.S. Library of Congress and has been a syndicated columnist and news analyst on international affairs for a wide variety of newspapers and web sites. I received my Wedge-Tailed Silver Eagle this afternoon. I have never held a coin that made my hands shake. It is was that stunning to me. What a magnificent coin! May I ask where you got it from? I placed the order with Downies Coins, Australia on Jan.8th. They are sold out at this time. I also placed an order with GovMint.com on Sunday the 11th. The certificate of authenticity comes with a coin number. My coin was number 09884.I don’t know if this number is the order of mintage and what it could mean,if anything, to the coins value if not. Thanks, John. You certainly received it quickly. Good to hear it is even nicer in hand. As for the COA #, sometimes people will pay more for the lowest #’s- 1, 2, 3, etc. and in the case of the last Canadian pennies, someone on e-Bay paid big money for one the highest #’s because in that case they thought it was one of the last rolls minted before the coins were retired from circulation. But there is usually no way to know for sure that the coins were minted in that order, and I doubt in your case having one of the last 200 would be of value. I enjoy reading your columns. They are among the first expert columns that I read. Knowing that these High Relief coins would be in great demand, I rushed over to the website and ordered one, I believe on January 8. It is indeed a lovely coin. Upon reviewing my coins last night, I noticed that the packing slip does not say anything about “high relief”, but merely indicates “proof”. It wasn’t until a good deal of time had passed that I realized that two different coins were minted. Mine is a lovely coin by any standard, but how can I tell if it is the high relief version? Thanks again for your column. in the size of the diameter. If the coin is 40 mm, which I suspect yours is, it is the proof. the high relief is instead 32 mm and is thicker than a regular proof coin. I will have a new article in the next couple weeks about some more high relief eagles from Perth. Your suspicion was correct, it was a 40 mm coin. Still a nice coin, but I was intending to try to get the High relief. Thanks again for your quick response.